Comic book text Summer hold on. Pop art style halftone background cold sweet cartoon poster. Retro vintage vector illustration. 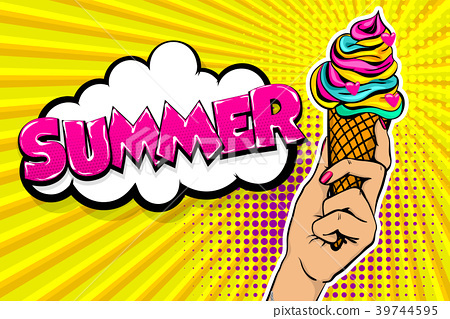 Woman hand hold Ice Cream colorful banner food. Speech bubble.